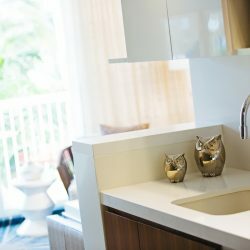 Renaissance Aruba Resort & Casino is renovating to provide new beautiful amenities. 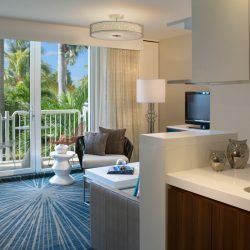 This page of the timeshare member website offers the latest renovation news and updates for members. 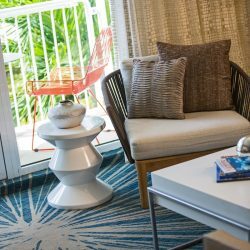 The Renaissance Aruba Resort & Casino is enhanced its guest rooms at the Renaissance Ocean Suites in 2015. All rooms have Renaissance International’s latest features in design and state of the art technology, including LCD televisions and wireless internet access. 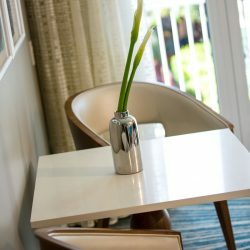 The rooms will be a tasteful blend of sophistication and elegance featuring tropical shades of whites, cream and blues. 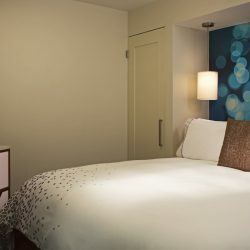 The features that have made the Renaissance room product synonymous with comfort will remain, such as the rain style shower heads in the bathrooms and Renaissance’s revive bedding featuring 300 thread count sheets, down comforters, sheeted duvet covers, thicker mattresses with plush toppers and fluffier pillows. This design project focuses heavily on evoking a sense of place, playing off the resort’s location in the island’s cultural center of Oranjestad and incorporating indigenous elements for a result that is distinctly Aruban. All suites will get a contemporary residential feel, with design cues referencing that of a custom yacht. Guests will be treated to a soothing palate of rich woods, silvery creams, off whites and splashes of aqua that balance the natural colors of Aruba’s crystal clear sea and sparkling sands. Natural materials like hemp rope will mix with the polished contemporary style of oiled wood and white lacquered panels. The rooms will be well suited for relaxing at any time of the day, with the addition of sheer layered drapes and thoughtful positioning of the bed closer to the window, maximizing daylight and creating nighttime drama with indirect lighting. Closet interiors will be lined with vintage island postcards, further evoking local spirit. Sleek, modern bathrooms will reinforce the design concept, incorporating simple, yet elegant materials like polished nickel, porcelain tiles, white quartz counter tops, backlit mirrors and rain-style spa showers.